located at 50th Street and Fifth Avenue in Manhattan is America's tallest Cathedral. Construction started in 1858 and was completed in 1878. Like the Washington Monument, work was halted during the American Civil War. 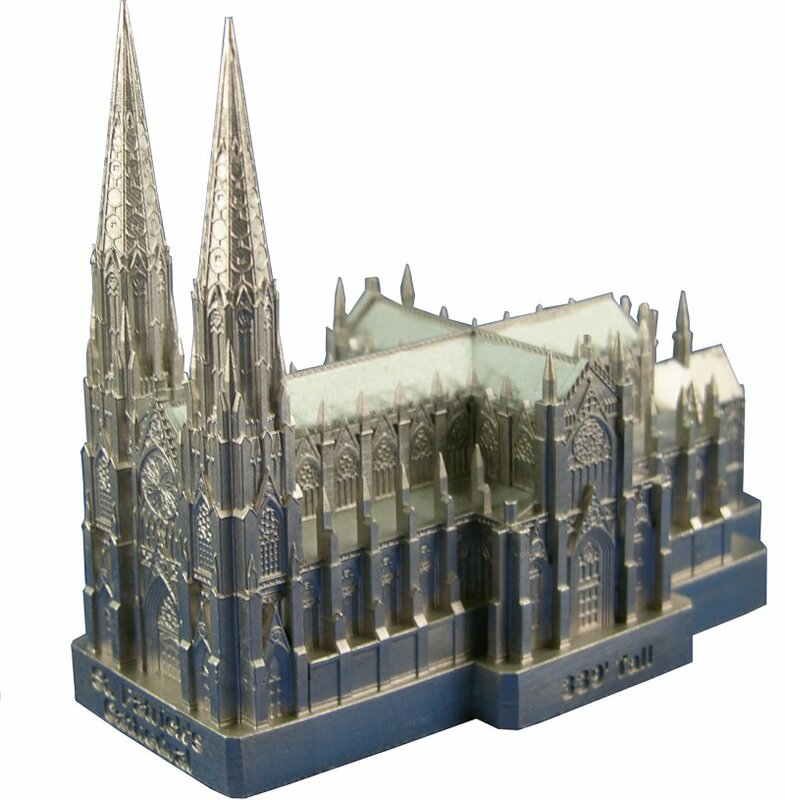 Our pewter building replica stands just under 4" tall and is 4-1/2" long and is finished in new pewter.